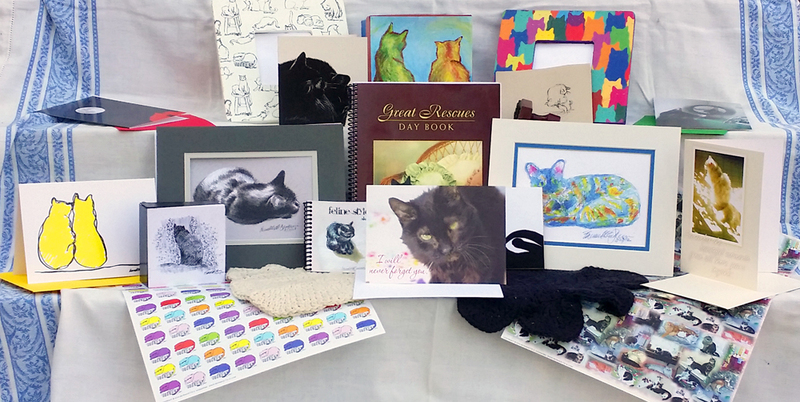 I’m assembling my November Feline Sampler Box, ready to ship next week, so sign up now if you want to be on the list next week and I make sure I have enough of everything! It seems like gift box programs are popping up everywhere. The idea really appealed to me because unique handmade things sell best when I can get them literally into people’s hands. 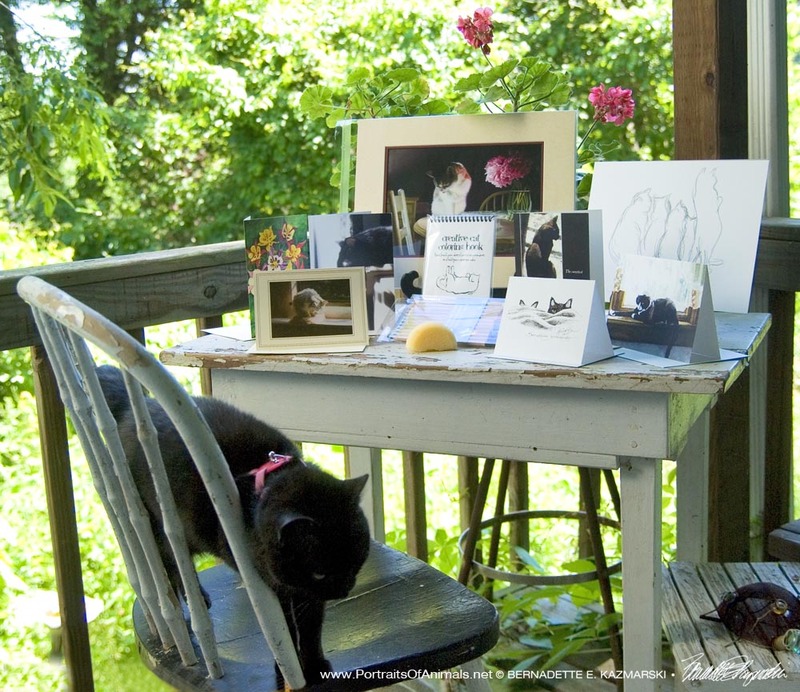 In addition to the handmade goods I simply have so much artwork in all subjects that it’s a great way to show images visitors to this sight might never see. 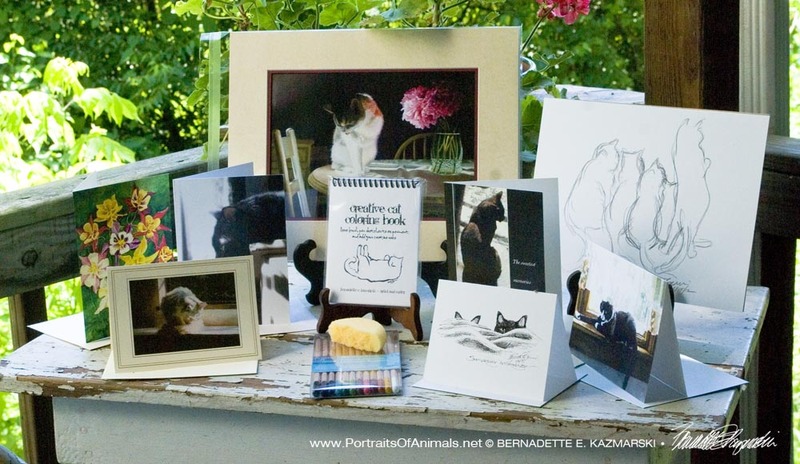 A few other people suggested I do this too, so I looked at what I have to offer and came up with a few gift boxes containing my works as a sampler whether you are a new customer or you’ve been following me for years. These can be things you use for yourself or give as gifts or donation items to shelter or rescue or other fundraisers. Sometimes they’ll be little experiments and I’ll be asking for feedback. I’ll be happy that you get to see art you may have never noticed, and little handmade goods that work so much better in your hands than a photo on your computer. You can scroll down to order your sampler box now, or read a few articles about past sampler boxes. 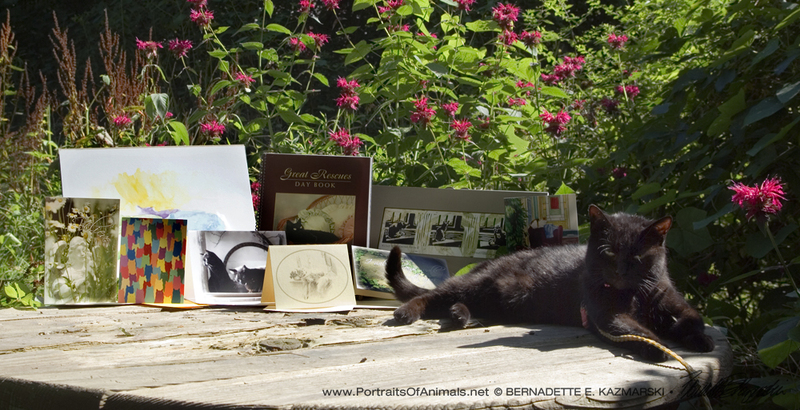 This entry was posted in animal sympathy cards, black cats, cat artwork, cat greeting cards, cat merchandise, Feline Sampler Box, Gift Items, handmade gift items and tagged cat art, cat gift items, cat greeting cards, feline, feline art, feline sampler box, feline sampler box subscription on October 28, 2016 by Bernadette.